2017 marked Beauflor’s first full year of manufacturing and distributing in North America. To make an impactful first impression in the minds of their customers, Beauflor wanted a 3,500 sq. 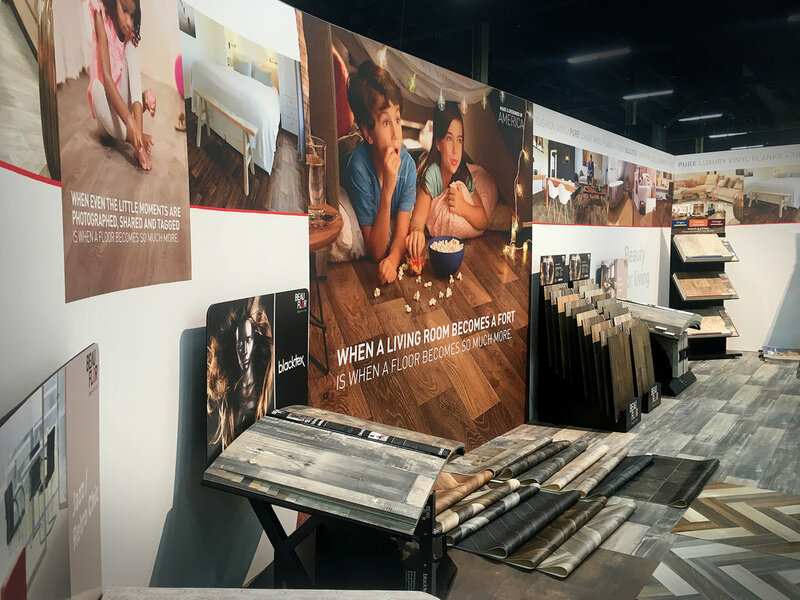 ft. booth at the International Surface Event held in Las Vegas. 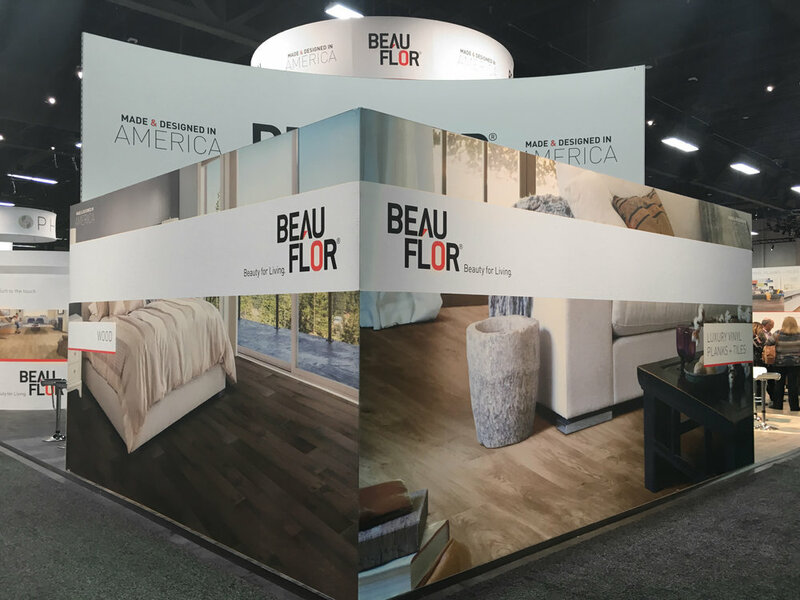 After months of designing environmental graphics, packaging and displays we attended the trade show and captured the event for Beauflor. Below is a video we created of the trade show and some still images of the graphics and displays.